As more companies turn to cloud hosting and outsourced enterprise application management, the security of data and who has access to it — both digitally and physically — is a chief concern among IT professionals. At Symmetry, LLC, an applications management and hybrid cloud hosting solutions provider based in Brookfield, Wisc., they pride themselves on providing their customers the peace of mind that their data and information is safe, secure, and in good hands. Which is why it didn’t quite sit right with the Symmetry staff, including Administrative Support Specialist Yolanda Boyd, that up until as late as September 2016, the company was checking in visitors to its office using a paper log book. Boyd came across The Receptionist for iPad, and upon digging further, she knew she had found the solution the company needed. 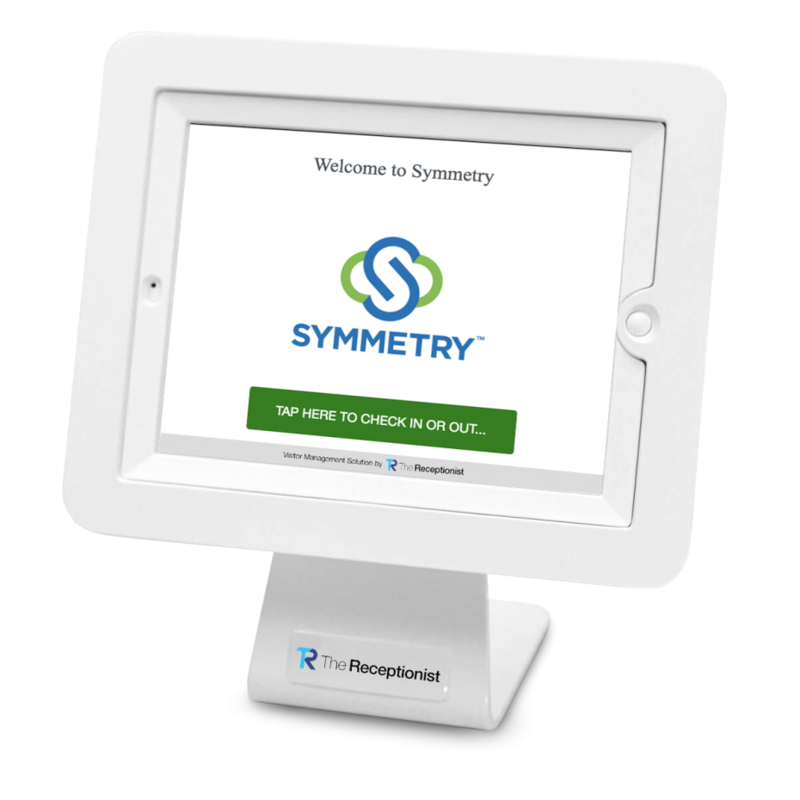 The Symmetry team agreed to implement The Receptionist for iPad to bring the company’s visitor security standards up to date. Now, the visitor books are no longer of use and the security reports needed to compile an audit report are created within a matter of minutes with a simple download, and visitors to the office are no longer missed. It’s even solved a competitive issue, as previously, competitors would often come into the Symmetry office and flip through the paper log book to see who had visited. Do you want to see how The Receptionist can help your organization? Start your free 14-day trial today. Symmetry™ is a leading applications management and hybrid cloud hosting solution provider with deep expertise in SAP application management. As a true extension of your IT team, we place a laser focus on our customer’s experience and offer highly flexible, tailored solutions to meet the unique business needs of enterprise clients.